The video is shocking. A transgender student sits on the toilet with her pants down in a high school bathroom stall as a school official attempts to break in. Once the stall door is wide open, the woman stands in front of the stall with two male officials behind her, as the student yells that they have violated her. 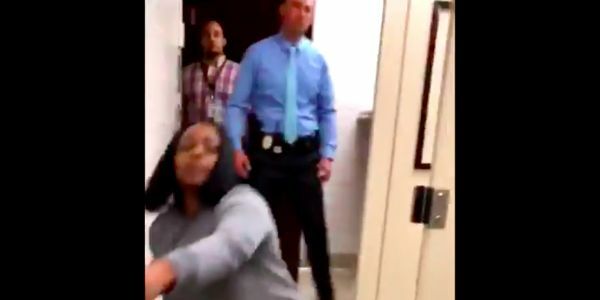 This is what happened to a transgender student at Osseo Senior High School in Minnesota when she tried to use the girls' bathroom, according to video footage of the incident that the student posted on social media. Please sign this petition urging the school's principal to investigate what happened and hold the staff accountable for violating this student's privacy. Proponents of anti-trans bathroom bills often argue that allowing "men" — who are actually transgender women — inside women's bathrooms poses a risk to women. And yet, in this case, two men were allowed in the girls' bathroom, completely violating her privacy in the process. The three officials sit idly by as the girls sits on the toilet with her pants down and the door wide open. Principal Michael Lehan has said that the incident has been misrepresented in the media, but whatever the case, there is no excuse for breaking in on a pantsless student in a bathroom stall. Sign now to demand accountability.